Your perfect day in Loreto starts here! “Best tour in Loreto” — according to TripAdvisor! A half-day adventure that’s fun for all ages. What to do in Loreto? We have the best tour in Loreto - according to TripAdvisor. A half-day adventure that’s economical, all-inclusive, and fun for the whole family! We are dedicated to providing our clients with the best tour in Loreto. 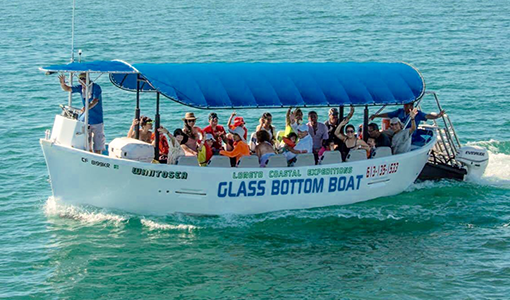 We offer Loreto’s ONLY glass bottom boat, the Wantosea, with 42 sq ft of viewing area, where you can enjoy all the natural beauty of the Sea of Cortez – without ever getting wet! (Unless you want to…) It’s ranked the best tour in Loreto on TripAdvisor. 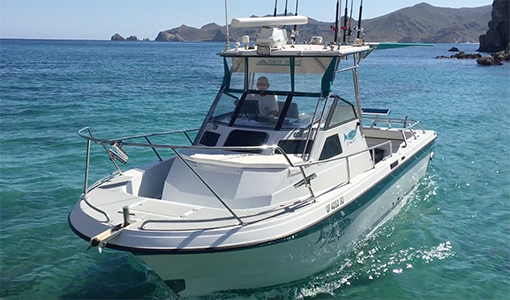 We also offer El Pedorrito, a custom-rigged 26’ Davis Explorer, for sportfishing and private charter. Our captain has more than 40 years experience in the waters around Loreto and knows the best spots to enjoy your activity of choice. We haven’t earned best tour in Loreto for El Pedorrito yet - but we’re working on it! Wantofish and Wantoplay are our 2 newest additions, they are perfect for smaller groups and extended time periods. All of our tours includes snacks, lunch, drinks, use of snorkel equipment, knowledgeable and friendly crew, and best of all - the beautiful waters and sea life around the islands of Loreto Bay National Marine Park. Loreto is truly a Pueblo Magico! Check our TripAdvisor reviews, our food is great too! We took our 3 kids, ages 9, 7.5 and 2.5 on this boat trip. I love to snorkel and wanted to share the live underwater experience with the kids, who are hesitant to go out snorkelling. 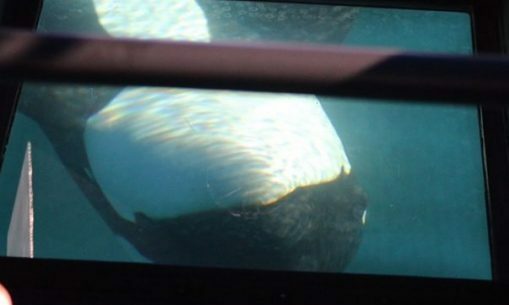 Our eldest uses a mobility walker, wheelchair and while we helped her get on the boat, she had no trouble holding onto the bar and watching the sea life below. The staff were extremely friendly, professional and helpful. We saw many rays, two sea turtles, and teems of reef fish. The info cards with the various species were fun to have and the kids were all really quick to read the cards and spot fish under the boat. There were plenty of healthy and yummy snacks and drinks. We had 2 beach stops as well. We were initially hesitant because of the cost and wondering whether the trip would be worthwhile, but we were absolutely delighted with it. … Highly recommended.